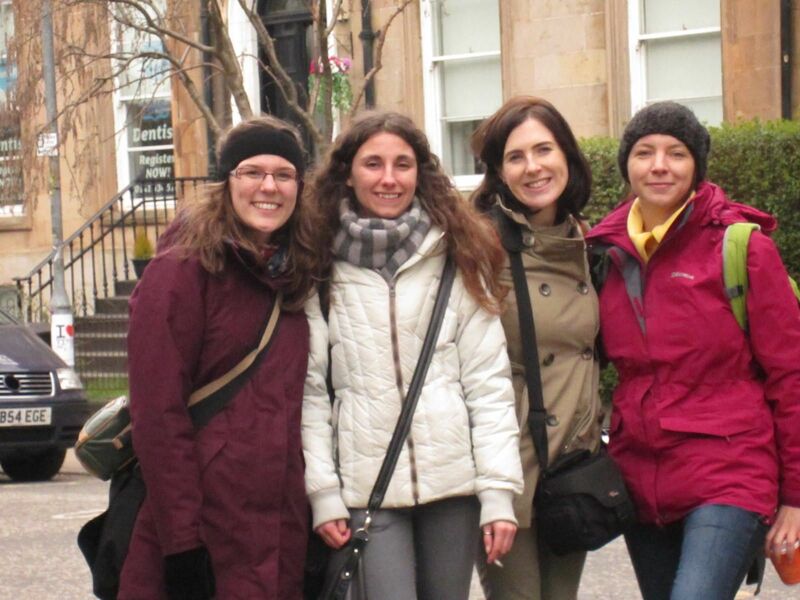 On a cold morning last week, before spring teased us with its arrival, some of The Camomile’s team members set off in Ellen Carstairs’ footsteps around Glasgow. Passages from the novel took us around the centre of Glasgow where our protagonist used to wander and to the West End where she rented a room just off Byres Road. The sky remained clear as we filmed clips of contemporary Glasgow street scenes, to juxtapose with early 20th century images of the city. Dr. Margery Palmer McCulloch, an expert in Scottish Women’s literature from the University of Glasgow, kindly agreed to speak to us about Catherine Carswell’s life and writing. Her interview provided some real insight into the book and her naturalness and ease in front of the camera even surpassed our own skills behind it. Many thanks for your help Margery. The podcast is undergoing some final edits and will go live soon. Watch this space.